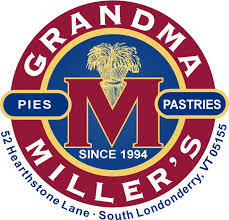 Here is everything you need to start selling your Grandma Miller pies! 5. Customers that do not want pies but want to contribute can DONATE PIES (we give them to the locate shelter) donation of $100 = 5 pies. Each rower is encouraged to sell AT LEAST 25 PIES = $500. IN ADDITION – all rowers who sell over $700 will get a gift as well.